Jhumpa Lahiri is an Indian American author. 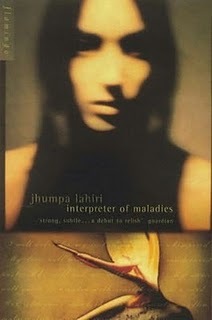 The ‘Interpreter of Maladies’ is Lahiri’s debut novel. It is a collection of nine short stories about the lives of Indians and Indian Americans who are caught between the culture they have inherited and their new lives in a foreign land. Lahiri later wrote “What drew me to my craft was the desire to force the two worlds I occupied to mingle on the page as I was not brave enough, or mature enough, to allow in life”. One of the most eloquent books I have read and my absolute favourite! Kiran Desai is the daughter of the eminent India novelist Anita Desai whose works have been shortlisted for the Booker Prize three times. Kiran seems to have inherited the gift of writing from her mother. Some critics go on to say that Kiran seems to be inspired by the characters created by Anita in her novels. Kiran’s works have received much praise from notable figures such as Salman Rushie. Her novel “The inheritance of loss has been written over a period of seven years. The characters in this novel struggle with their cultural identity and forces of modernization. “The major theme running throughout is one closely related to colonialism and the effects of post-colonialism: the loss of identity and the way it travels through generations as a sense of loss”. This book is dear to me because the story is set in called “Kalimpong”, a quaint place at the foot of Himalayas where I spent my early childhood. Aravind Adiga is an Indian writer and journalist. In his debut novel “The White Tiger” Adiga highlights the brutal injustices and poverty present in the rapidly changing Indian society. The complexity and subtlety of India is captured by the author both as an insider, having grown up in India, and as an outsider, having emigrated for years and then returned. “The main theme of the novel is the contrast between India’s rise as a modern global economy and its working class people who live in crushing poverty”. Adiga’s vivid portrait of India is dark and comical. I found this book pretty engaging! Hope you enjoy reading these books as much as I did ! PreviousYoutube! – Keeping Chooks Event.